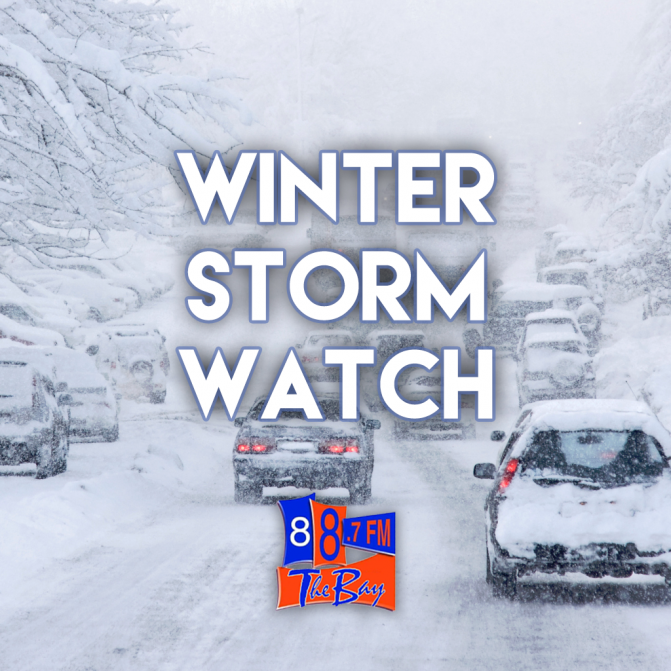 A Winter storm watch is in effect for the listening area. Environment Canada says snowfall amounts of 25 to 35 cm and blowing snow are expected Tuesday into Wednesday. Strong easterly winds gusting up to 70 km/h will cause reduced visibilities in blowing snow. This snow is associated with a Colorado low that will cross into the region Tuesday and Wednesday. A Winter Storm Watch is in effect for Huntsville, Parry Sound & Burks Falls. Environment Canada says there is potential winter storm late Tuesday into Wednesday. The calendar may say April, but significant amounts of snow and blowing snow are possible from Tuesday afternoon into Wednesday courtesy of a Colorado low. Snow will begin Tuesday afternoon and intensify later in the day. There is also a threat for several hours of freezing rain and ice pellets Tuesday night for areas near and east of Georgian Bay. Total snowfall accumulations of 15 to 25 cm are possible in some areas by the time the snow tapers off Wednesday afternoon. Blowing snow significantly reducing visibility is possible as well, especially late Tuesday night into Wednesday due to gusty north winds to 60 km/h.